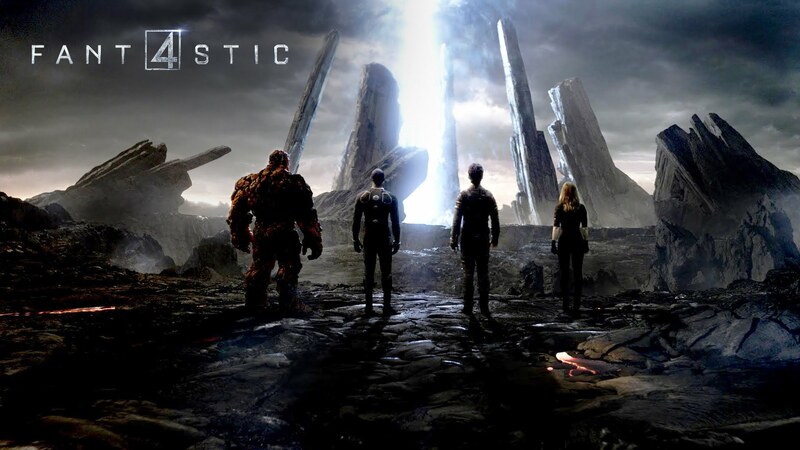 Another “back to basics” reboot from planet Marvel, just ten short years on from the last time they launched this, their longest-running team-up, on to the big screen. 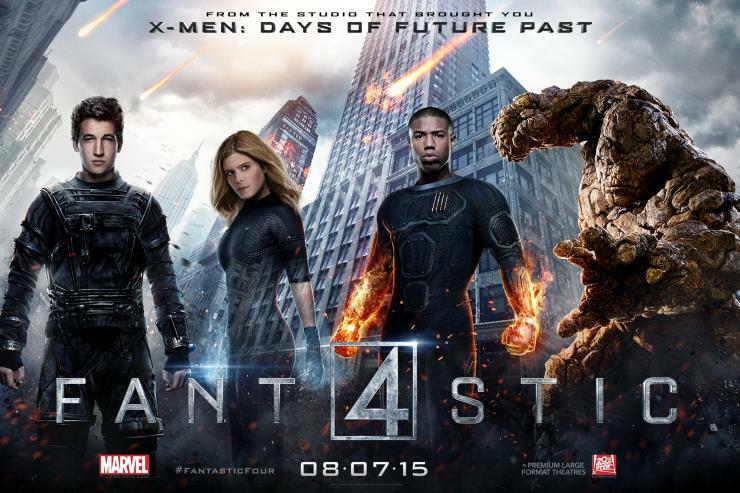 Starring Miles Teller, Michael B Jordan, Kate Mara and Jamie Bell. It seems every month there’s a new Marvel movie out. Oh wait: it’s the summer, I forgot. Prime blockbuster time, then ..
Man, am I getting bored with reboots. I know it’s a sign you’re getting older when you moan about things like this, along with covers of songs that were probably covers of your parents’ favourites when they were growing up, but seriously when will they come up with something new ? At least with James Bond and Doctor Who it’s a given that every few years someone new takes over, but with comic book heroes it seems like nothing’s sacred anymore. Oh, and for the record: Sean Connery and Jon Pertwee, right ? Still with me ? Good. I didn’t like Guardians Of The Galaxy. I like Robert Downey Jr. as Iron Man in any movie. I really enjoyed Ant Man. 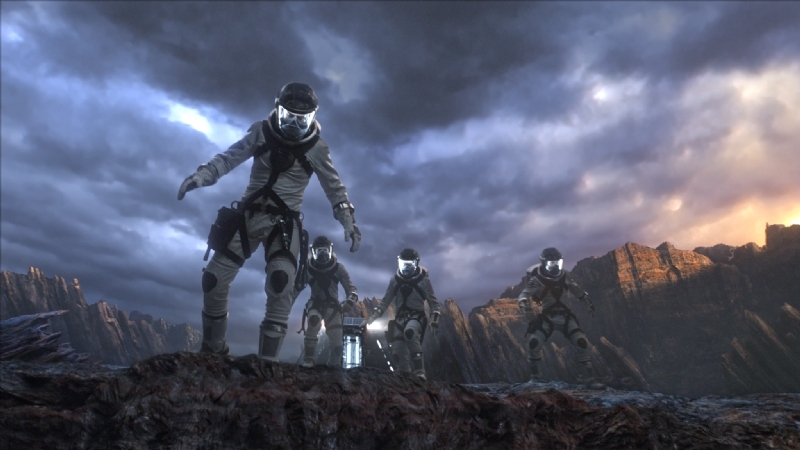 I did not think much of this, the new Fantastic Four. On the surface, it’s a new origins story based on old, familiar characters. Visually, it’s flawless but that should be a given these days. 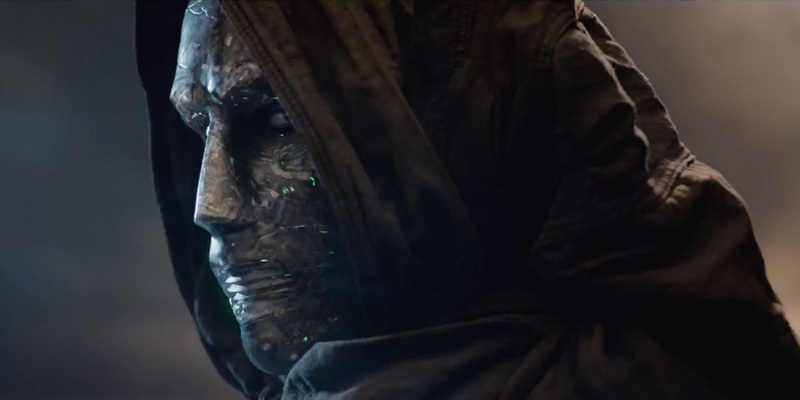 Acting-wise, there’s decent performances from Miles Teller as Reed Richards and Toby Kebbell as Victor Von Doom, but the script doesn’t really give anyone much scope to show their chops, least of all Jamie Bell as The Thing. You will probably know Teller from the Divergent series, where he plays a supporting role as the cocksure Peter and is really annoying, so he does a damn fine job. This is his first time carrying a major motion picture and he gives it a good shot, given the fairly mundane lines he has to play with. Kebbell also acquits himself well in the difficult role of Von Doom, balancing his general ennui with society in general and the obviously raging hormones inside his young body. The guy’s a simmering psychopath but also a control freak, so it’s a case of keeping that temper in check while wishing he could explode at everyone he comes across. Last time I saw Toby Kebbell in a big role was in the superb Dead Man’s Shoes, directed by Shane Meadows, starring Paddy Considine. If you’ve not seen it, make sure you do: it’s one of the best movies ever made about British life, although it’s also very challenging and not for the faint-hearted. In the film, he plays a mentally handicapped young man so well I couldn’t believe he wasn’t disabled himself. The reviews and praise he received for the performance were such that many consider it to be the greatest of all such portrayals, along with that of a young Leo DiCaprio in What’s Eating Gilbert Grape ? Those are the good bits: the graphics and a couple of the actors aside, the rest is formulaic and predictable. The kids come up with a great idea. The kids get told to go for it. The kids go for it. The kids are told to give up their great idea because the government want it. The kids don’t like that. There’s another science bit, but quicker because it’s a race against the clock. The kids go for it again, this time themselves rather than using monkeys. The kids actually do it. The kids are told off. Then there’s a final scene where the kids .. well, you know the rest. This is by the numbers stuff and it’s all fairly well done and acceptable and adequate and .. well, it’s ultimately BORING. But not with a futuristic laser gun, because that would be so predictable. It all ends with the four coming up with a catchy name for the group – one of the few lame attempts at humour in what is a very, very straight storyline overall – while setting up a massive new base from which they can carry out their operations. Did someone say “sequel” ? This entry was posted in blogging, Media, Movies, Opinion piece, Review by rigger67. Bookmark the permalink.